So, as I struggle to get back on the right path, I feel like it is time to once again share my WHY with the world. My WHY’s for getting healthy and fit are mainly selfish. First and foremost, I really want to be HOT! I know, I know…. How shallow, right? But have you ever been the “ugly duckling”? If you have, then you know where I am coming from. I also want to feel AMAZING in any clothes I want to wear. Now, I know that I am never going to look like Kate Upton in a bikini, but I am NOT Kate Upton! I am Brenda Turnbaugh! And being MY very best is good enough for me! That may be a size 8/10, that may be a size 4/6, but whatever it is, as long as I know in my heart that I am giving MY life, MY VERY VERY BEST EFFORT, I am going to be OK with it! So I am a little “fluffy” right now! You know what? 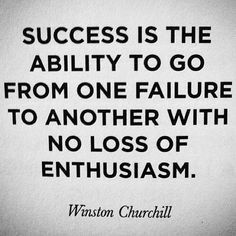 FAILURES HAPPEN! LIFE HAPPENS! Yes, I have some weight to lose. Yes, I am back up to a number on the scale that I NEVER wanted to see again. And, Yes, I feel pretty “blah” about how I look and feel right now. But I am working on forgiving myself for letting it get out of hand, and putting the stress, guilt, self-destruction, and self-sabatoge behind me! Honestly, what other choice do I have? Next week, I start the next chapter of my story, by starting Shaun T’s Focus T25 and dedicating more time to my own fitness and nutrition program again. I am very excited for the next 10 weeks, and would love for any of you to join in for support and accountability! We know you are not perfect, but you need to know that it is for that very reason that so many of us look up to you – we can’t relate to perfect, but we can relate to your struggles, and we believe in you, no matter how you look in fitted clothing! Tina, I can’t thank you enough for this comment! It has been a rough past year. Adjusting and dealing has been difficult for me. But our FIT family has been a big part of keeping me sane. 🙂 I am so happy to see you back and giving it everything you have! You and your husband are amazing people!